� How was your last visit to Sushi Fussion Flushing? 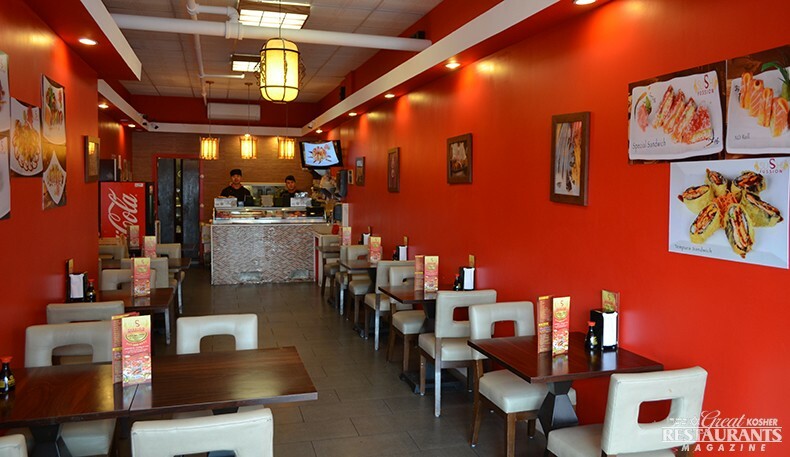 A bright red wall is the backdrop for this Flushing-Kew Garden Hills sushi hot spot, where the chefs paint with seafood, colorful sauces and fresh produce. With three other locations (Great Neck, Manhattan, and an additional one in Queens), owners Levy & Michael put together a goal of having a menu with over a hundred rolls to pick from. If there is a roll that is not on their menu, just ask Eddie, one of their renowned chefs and he will create it for you. This makes it a treat for customers who can try new rolls every time they return to the restaurant. 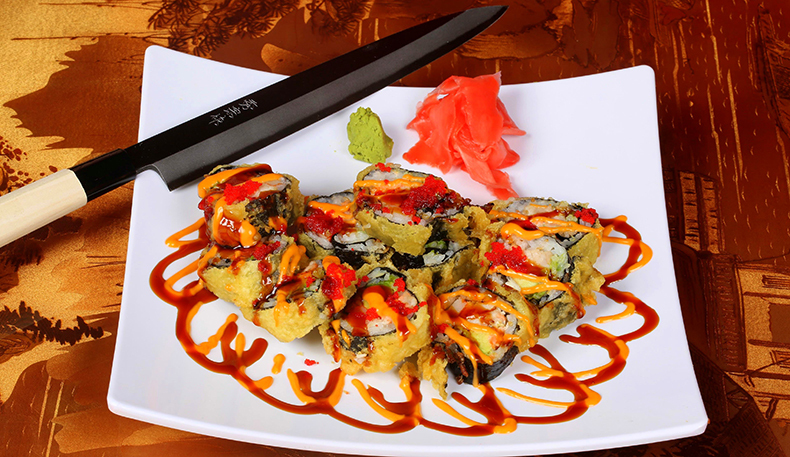 Sushi Fussion is dedicated to offer the freshest and most artistic sushi to all of its clientele. Out of their one hundred items, there are a few that definitely need mentioning. The jumbo Zodiac Rolls all different, one for each sign are cut into ten pieces each. 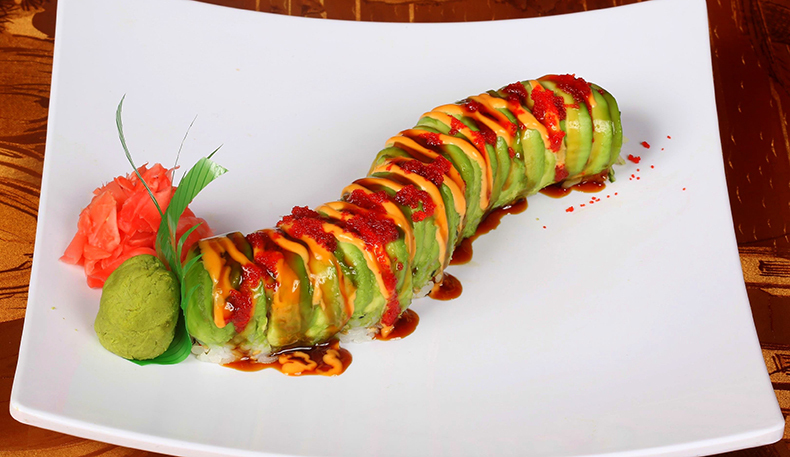 The XO Roll gives you a little sweet and a little spice with spicy salmon, mango, avocado, caviar, and salmon. 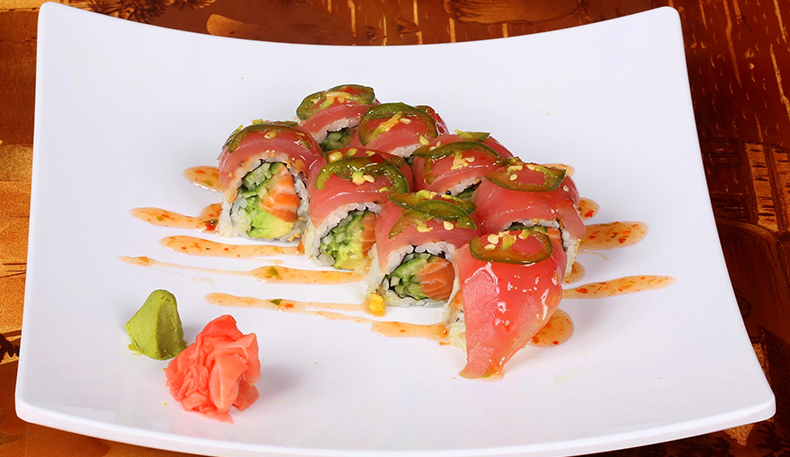 Tickle Me Tuna Roll packs a lot of goodness: spicy tuna, avocado, soybean wrap, seared pepper tuna, with sweet & spicy sauce. 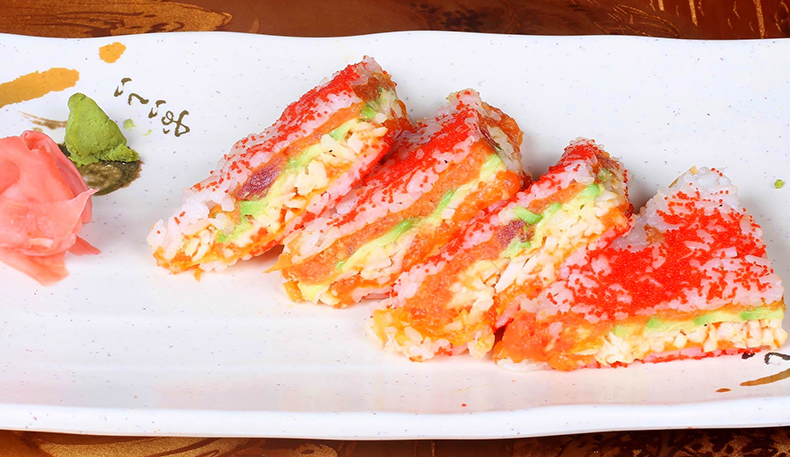 To get out of the ordinary, enjoy a Tempura Sandwich which comes with salmon, avocado, kani and three sauces. Another big bite size treat is the Special Sandwich Roll filled with spicy salmon, spicy tuna, avocado topped with crunch and caviar. 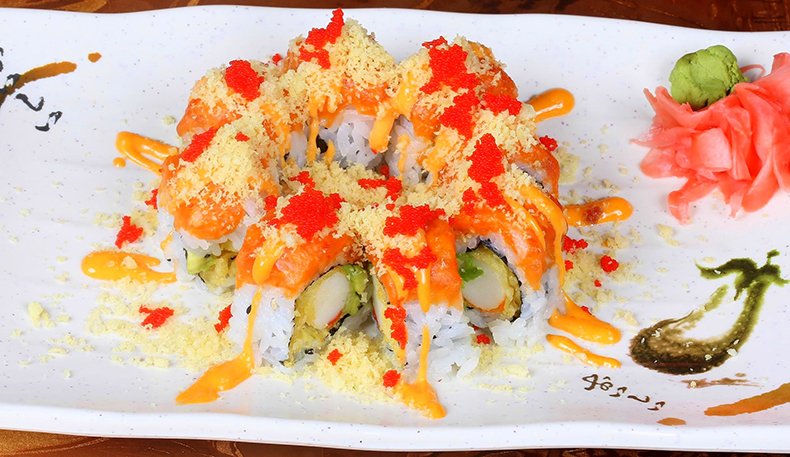 A fan favorite includes the Tokyo Roll: Tempura fried spicy salmon, tuna, avocado, and sweet & spicy sauce. Like Burgers? Then you'll love their Fussion Burger. It’s your choice of salmon or tuna tempura style topped with lettuce and avocado. Dieters can enjoy the list of Low Carb Rolls that are wrapped in cucumber. And Lunch Specials are always available Monday through Thursday. The custom catering with Sushi Fussion is really worth bragging about. The special platters are popular with birthdays, corporate and community events. 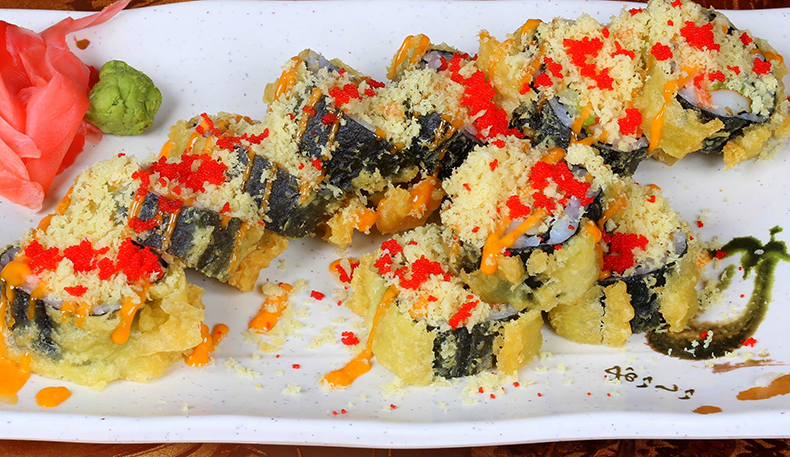 You will find the most colorful display of different sushi impressing all of your guests. 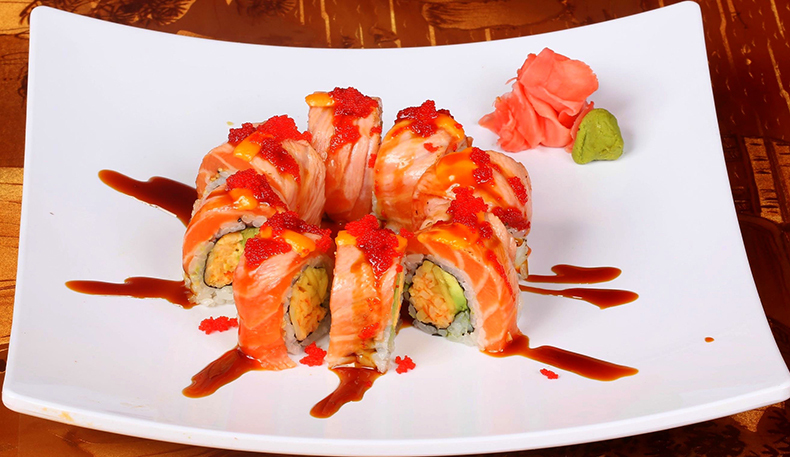 Sushi Fussion also is best known for its fast service in take-out and delivery.